Dinge Menschen Welt … Tiere Pflanzen Orte Landschaften Elemente … konzeptionelle Übersimplifizierung der Theorie? oder: treffende Beschreibung "moderne[r] Gesellschaften westlichen Typs" ? hose who divorce indicates that young married adults under age 30 have been particularly exposed to the risk of divorce in recent years, and this holds true especially for women. So is it fair to assume that the Goode Hypothesis is based on the idea that First only the rich can divorce and do so at there own rate Then it becomes available to the lower classes and so they begin to do it gradually as it is not immediately socially accepted despite being available. Then as it becomes common place amoung the poor the rich begin to see it as "lowly" to divorce and avoid it due to social stigma. Is that the presumed chain or are there other motivations that I am missing? Social scientists call the person connecting these two otherwise separate clusters a “bridge tie.” Research shows that weak ties are more likely to be bridges between disparate groups. Te c h nolo-gies alter our ability to preserve and circulate ideas and stories, the ways in which we connect and converse, the people with whom we can interact, the things that we can see, and the structures of power that oversee the means of contact. As sociologist Doug McAdam and others have explored, tactical innovation is crucial for movements over the long term. Concerning the discipline of sociology, he described the dichotomy of sedentary life versus nomadic life as well as the inevitable loss of power that occurs when warriors conquer a city. According to the Arab scholar Sati' al-Husri, the Muqaddimah may be read as a sociological work. The work is based around Ibn Khaldun's central concept of 'aṣabiyyah, which has been translated as "social cohesion", "group solidarity", or "tribalism". This social cohesion arises spontaneously in tribes and other small kinship groups; it can be intensified and enlarged by a religious ideology. Ibn Khaldun's analysis looks at how this cohesion carries groups to power but contains within itself the seeds – psychological, sociological, economic, political – of the group's downfall, to be replaced by a new group, dynasty or empire bound by a stronger (or at least younger and more vigorous) cohesion. Some of Ibn Khaldun's views, particularly those concerning the Zanj people of sub-Saharan Africa, have been cited as a racist, though they were not uncommon for their time. According to the scholar Abdelmajid Hannoum, Ibn Khaldun's description of the distinctions between Berbers and Arabs were misinterpreted by the translator William McGuckin de Slane, who wrongly inserted a "racial ideology that sets Arabs and Berbers apart and in opposition" into his translation of the Muqaddimah. In more than twenty years of running diversity-training and cultural-competency workshops for American companies, the academic and educator Robin DiAngelo has noticed that white people are sensationally, histrionically bad at discussing racism. Like waves on sand, their reactions form predictable patterns: they will insist that they “were taught to treat everyone the same,” that they are “color-blind,” that they “don’t care if you are pink, purple, or polka-dotted.” They will point to friends and family members of color, a history of civil-rights activism, or a more “salient” issue, such as class or gender. They will shout and bluster. They will cry. In 2011, DiAngelo coined the term “white fragility” to describe the disbelieving defensiveness that white people exhibit when their ideas about race and racism are challenged—and particularly when they feel implicated in white supremacy. Why, she wondered, did her feedback prompt such resistance, as if the mention of racism were more offensive than the fact or practice of it? Brief History of the Internet has been in my required readings for Sociology of Cyberspace. dive too much into the small world theory, let’s review some key SNA concepts. I LOVE LOVE LOVE this. It tells me you have a purpose to your blog post. You have an audience in mind and you understand the goal here is to communicate beyond the academy to inform a broader public. This is what public sociology is all about! Excellent! This is the essence of sociology. And is the fundamental challenge to the logic of individualism and neoliberalism. Isn't all sociology really about networks? Why don't we see them? What it means to be poor, with many additions in the replies. It is a shame that people are made to feel shame for accepting help or asking for help. If your charity group is giving kids something for Christmas, that's great. But don't put them on the local news. The Shouting Class -- people who criticize things as a way of life. Thoughtful blog by Grete Howland, about being raised as an evangelical Christian -- and then discovering that it isn't for her. For those raised in more liberal, free-thinking denominations, such as certain Episcopal congregations or the Unitarian-Universalist church, the religious molding might not be such a bad thing. In those cases, you might have been taught that everyone is unconditionally welcome in the love of God, that all belief systems are worthy of respect, that decolonization is mandatory practice, to have a community service mindset, and the basic lesson of self-reliance. These are examples of habits and traditions one might want to continue practicing, regardless of personal faith or continued church involvement. I had been taught (1) to put my faith in God regarding everything--finances, relationships, and so on--and (2) that the way to deal with stress and pain was to pray for their causes to be gone. I was not supposed to change my thinking; God was supposed to change my circumstances. I grew up in rural, Christian, white America. ... The problem isn’t that I don’t understand these people. The problem is they don’t understand themselves, the reasons for their anger/frustrations, and don’t seem to care to know why. Since facts and reality don’t matter, nothing you say to them will alter their beliefs. “President Obama was born in Kenya, is a secret member of the Muslim Brotherhood who hates white Americans and is going to take away their guns.” I feel ridiculous even writing this, it is so absurd, but it is gospel across large swaths of rural America. Are rural, Christian, white Americans scared? You’re damn right they are. Are their fears rational and justified? Hell no. The problem isn’t understanding their fears. The problem is how to assuage fears based on lies in closed-off fundamentalist belief systems that don’t have the necessary tools for properly evaluating the fears. What CAN change their minds? Personal experience: knowing people from the groups they are prejudiced against. At least, they’ve become unavoidable in class discussions even tangentially related to social psychology. In intro sociology, they lead to some interesting thoughts about lab vs. field experiments. Developing SocArXiv — a new open archive of the social sciences to challenge the outdated journal system. SocArXiv - an upcoming open archive of papers in the social sciences modeled on arxiv.org. As sociologists, we study and teach about women’s devalued place in society. But the stigma against the romance genre is so strong that even our background as scholars in the sociology of gender wasn’t enough to inoculate us against the stigma. If anyone was going to know better, it should have been us. Greyson and Lois establish the pervasive and deeply ingrained pejorative attitude toward the popular romance novel. Admit their own assumptions about the genre mirrored that of our culture. Those with the highest degree of functional literacy aren’t necessarily those with the highest social status. In precise contrast with school. In some ways, literacy is such a basic part of schooling that it’s nearly impossible to imagine other core skills (from numeracy to empathy) giving pupils and students any kind of social status outside of literacy. Labov’s key text on the sociolinguistics of African American Vernacular English, with special attention to verbal eloquence (such as ritual insults, similar to Hip Hop taunts) regardless of literacy levels. The two-party system, formal debate, and typical advice for essay writing all emphasize picking A or B, and then defending it to the death. We should place more emphasis on the identification of alternatives and the collection of objective facts. We tend to assume that most people think and feel similarly to us. We then categorize those who don't as "other" and somehow inferior. This tendency is intensified when we gather with people who are in fact like-minded. And that happens in social media, where we tend to follow those with similar views. I agree. But on the other hand, "mocking a caricature of the Other Side" is a description of satire, which seems to be a valuable way to spread ideas. Stupid models are extremely useful. They are usefulbecause humans are boundedly rational and because language is imprecise. It is often only by formalizing a complex system that we can make progress in understanding it. Formal models should be a necessary component of the behavioral scientist’s toolkit. Models are stupid, and we need more of them. Formal models are explicit in the assumptions they make about how the parts of a system work and interact, and moreover are explicit in the aspects of reality they omit. Microeconomic models based on rational choice theory are useful for developing intuition, and may even approximate reality in a fewspecial cases, but the history of behavioral economics shows that standard economic theory has also provided a smorgasbord of null hypotheses to be struck down by empirical observation. Where differences between conditions are indicated, avoid the mistake of running statistical analyses as if you were sampling from a larger population. You already have a generating model for your data – it’s your model. Statistical analyses on model data often involve modeling your model with a stupider model. Don’t do this. Instead, run enough simulations to obtain limiting distributions. A model’s strength stemsfromits precision. I have come across too many modeling papers in which the model – that is, the parts, all their components, the relationships between them, and mechanisms for change – is not clearly expressed. This is most common with computational models (such as agent-based models), which can be quite complicated, but also exists in cases of purely mathematical models. However, I want to be careful not to elevate modelers above those scientists who employ other methods. This is important for at least two reasons, the first and foremost of which is that science absolutely requires empirical data. Those data are often painstaking to collect, requiring clever, meticulous, and occasionally tedious labor. There is a certain kind of laziness inherent in the professional modeler, who builds entire worlds from his or her desk using only pen, paper, and computer. Relatedly, many scientists are truly fantastic communicators, and present extremely clear theories that advance scientific understanding without a formal model in sight. Charles Darwin, to give an extreme example, laid almost all the foundations of modern evolutionary biology without writing down a single equation. Twelve good uses for dumb models, William Wimsatt (1987). To paraphrase Gunawardena (2014), a model is a logical engine for turning assumptions into conclusions. By making our assumptions explicit, we can clearly assess their implied conclusions. These conclusions will inevitably be flawed, because the assumptions are ultimately incorrect or at least incomplete. By examining how they differ from reality, we can refine our models, and thereby refine our theories and so gradually we might become less wrong. the stupidity of a model is often its strength. By focusing on some key aspects of a real-world system(i.e., those aspectsinstantiated in the model), we can investigate how such a system would work if, in principle, we really couldignore everything we are ignoring. This only sounds absurd until one recognizes that, in our theorizing about the nature of reality –both as scientists and as quotidianhumans hopelessly entangled in myriad webs of connection and conflict –weignore thingsall the time. The generalized linear model, the work horse ofthe social sciences, models data as being randomly drawn from a distribution whose mean varies according to some parameter. The linear model is so obviously wrong yet so useful that the mathematical anthropologist Richard McElreathhas dubbed it “the geocentric model of applied statistics,”in reference to the Ptolemaic model of the solar system that erroneously placed the earth rather than the sun at the center but nevertheless produced accurate predictions of planetary motion as they appeared in the night sky(McElreath 2015). A model that approximates some aspect of reality can be very useful, even if the model itself is flat-out wrong. But on the other hand, we can't accept approximation of reality as hard proof that a model is correct. Unfortunately, my own experience working with complex systems and working among complexity scientistssuggests that we are hardly immune to such stupidity. Consider the case of Marilyn Vos Savantand the Monty Hall problem. Many people, including some with training in advanced mathematics, contradicted her smugly. But a simple computer program that models the situation can demonstrate her point. 2/3 times, your first pick will be wrong. Every time that happens, the door Monty didn't open is the winner. So switching wins 2/3 times. Mitch Resnick, in his book Turtles, Termites, and Traffic Jams, details his experiences teaching gifted high school students about the dynamics of complex systems using artificial life models (Resnick 1994). He showed them how organized behavior could emerge when individualsresponded only to local stimuli using simple rules, without the need for a central coordinating authority. 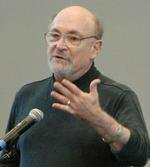 Resnick reports that even after weeks spent demonstrating the principles of emergence,using computer simulations that the students programmed themselves, many students still refused to believe that what they were seeing could really work without central leadership. Alice Maz on communication failures due to different cultures of conversation and values. Most people value feelings, shared perspectives, and social status. They see correction as an attempt to knock them down a peg. Nerds value facts, logic, and the sharing of information. A genuine nerd shares information with no intention of knocking anyone down, and prefers being corrected to remaining misinformed. The fact that professionals prefer anecdotes from people like us over concerted efforts to understand a demographic as a whole is shameful. More importantly, it’s downright dangerous. It shapes what the tech industry builds and invests in, what gets promoted by journalists, and what gets legitimized by institutions of power. This is precisely why and how the tech industry is complicit in the increasing structural inequality that is plaguing our society. Danah Boyd points out that people in the tech industry are far too quick to think of themselves as "typical", and ignore millions of Americans and billions of people who have little in common with them. Can You Experience an Emotion If You Don't Have a Word for It? Emotions are not just biological, but cultural. Different societies have unique concepts for combinations of feelings in particular circumstances. If you know a word for an emotion, you can more easily recognize it, control it -- and perhaps feel it more intensely. Emotions and how they are valued also varies across time as well as space. Sadness was valued in Renaissance Europe: they felt it made you closer to God. Today we value happiness, and we may value it too much. Emodiversity is the idea that feeling a wide range of emotions is good for you mentally and physically.